Patients who want to achieve a more youthful, rested look without undergoing the major surgery involved with a traditional face lift, may benefit from a non-surgical Contour Threadlift™. Contour Threads™, the only FDA-approved nonabsorbent threads for use in the U.S., are the latest development in a long line of implantable, specially designed surgical threads used to lift sagging skin on the midface, forehead, eyebrows and neck. The result is a minimally invasive procedure without general anesthesia, with minimal scarring and very little downtime. Dr. Adler has taken a special training course in the use of Contour Threads and has been qualified by the manufacturer to perform the procedure. The procedure involves the insertion of hollow needle into the area to be lifted. Then, threads are inserted into the fat layer just under the patient’s skin, which are then stretched and tied off – yielding a firming and tightening of the muscles and skin. New collagen then forms around each thread to maintain the lifted effect. The technique can be used to lift sagging cheeks, jowls and to create a better balance for eyebrows that may not be symmetrical. The procedure usually takes less than an hour to complete, depending on the number of threads used. Patients are able to go home soon afterwards. Results are immediate. During your consultation, Dr. Adler can show you, using a mirror, the approximate amount of lift you can expect to get with Contour Threads™. The actual duration of the lift depends on the age of the patient at the time of the procedure, the amount of sagging in his or her face and the number of threads used. The lift can last three to five years in some cases. This procedure can be performed in conjunction with other treatments like Botox, dermal fillers, chemical peels, or laser therapy to improve skin texture. 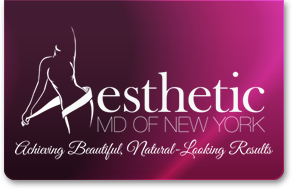 Liposuction of the neck and jowls, and chin augmentation can also be done in conjunction with a Contour Threadlift™.